This credenza provides a plethora of storage options with six drawers and a central cabinet with an adjustable interior shelf. The lack of visible hardware and the simple, inset wooden pulls create a minimalist appearance. 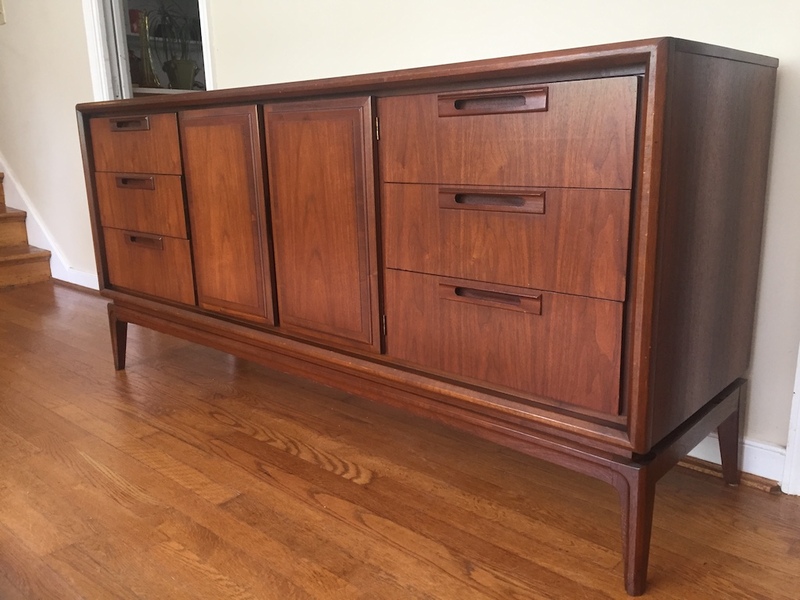 The wood grain on this vintage piece is exceptional. There is evidence of sun fading on the top surface which does not detract from the overall beauty of this credenza.